NEW LONDON -- Coast Guard Academy cadets soon will be able to communicate with satellites in space from classrooms on campus. A satellite ground control station that will sit atop Smith Hall, the academy's science building, is being constructed for a project by the Coast Guard Research & Development Center in New London and the Department of Homeland Security to send two small satellites, known as cube satellites, into space to see whether they can detect emergency distress beacons in the Arctic. The mission, dubbed "Polar Scout," also is a way for the Coast Guard to look at potential uses for these satellites in its day-to-day work. But cadets also will be able to take advantage of the ground station, getting hands-on experience with space technology. Through the ground station, cadets will be able to send commands to the satellites and downlink information from the satellites back to ground. 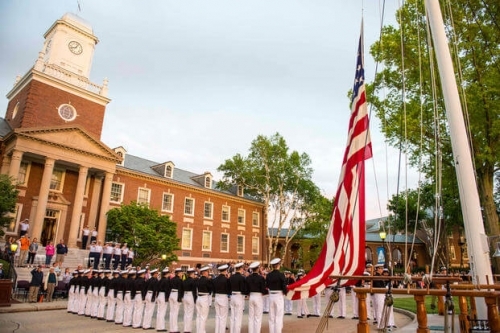 "That's the big benefit of having it right here at the academy," said Lt. Cmdr. Grant Wyman, a project manager at the research and development center. The cadets will have the capability to communicate with more than just the two satellites affiliated with the Polar Scout mission, Wyman said. At their smallest, cube satellites are 10 by 10 by 10 centimeters and weigh less than three pounds. Once in space, the satellites can support a wide variety of hardware and sensors: solar panels for power, radios for communication, telescopes and small computers to process information and control the flight of the spacecraft. Space technology is creeping into the curriculum at the academy. This semester, a course is being offered on the different types of remote sensing that can be done from space. Construction of an 18-foot radome, or geodesic dome made out of fiberglass that will protect the radar equipment used to communicate with the satellites, was just recently completed. The radome is expected be lifted to the top of Smith Hall soon with the hope of having the ground control station fully operational by the end of January 2019. The two satellites that are part of the Polar Scout mission were supposed to be launched into low Earth orbit from the SpaceX rocket Falcon 9 but the launch was delayed due to weather. The rocket is being launched from the Vandenberg Air Force Base in California. The primary goal of the launch is to see whether these small satellites can augment the National Oceanic and Atmospheric Administration's system of larger satellites that collect search-and-rescue beacons from the Arctic. NOAA's system is nearing the end of its service life. The Coast Guard has said the satellites also could be used to track sea ice in the Artic, reducing the cost of operating Coast Guard aircraft, which mainly carry out this work, and the risk to air crews. � Copyright 2018 The Day, New London, Conn.